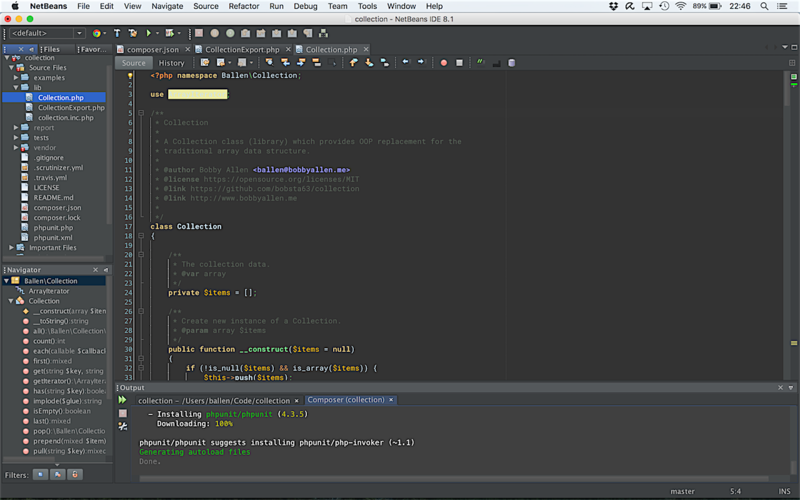 Dark theme (Dracula) for NetBeans – Life in apps, os's and code! I’ve personally used NetBean for about five years now; I’ve learn’t to love it and despite all the “cool kids” recently moving to the likes of PHPStorm and Sublime Text, everytime I try to switch over I just miss my trusty NetBeans and come flying back. Since recently purchasing my latest MacBook Pro, I went through the motions of re-installing all of my software development tools again and went on the hunt for a dark theme that looks similar to that of the PHPStorm theme for NetBeans. Although at present the folder icons in the project explorer panel do not match the ones that come with the JetBrains IDEA IDE’s the developer is apparently working on getting them added! You can add the theme via. the Plugins menu in Netbeans. I’m really chuffed with my new eye candy and look forward to further improvements to the theme in time! !